While excelling at carving waves or throwing monster airs, the Tronic sits perfectly in the middle of our range as an all-around performance, freeride twin tip. Its narrow tips deliver power control for carving with ample width between your feet to help with early planing. The quad concave to deep V tip bottom shape puts the control where you need, between your feet. 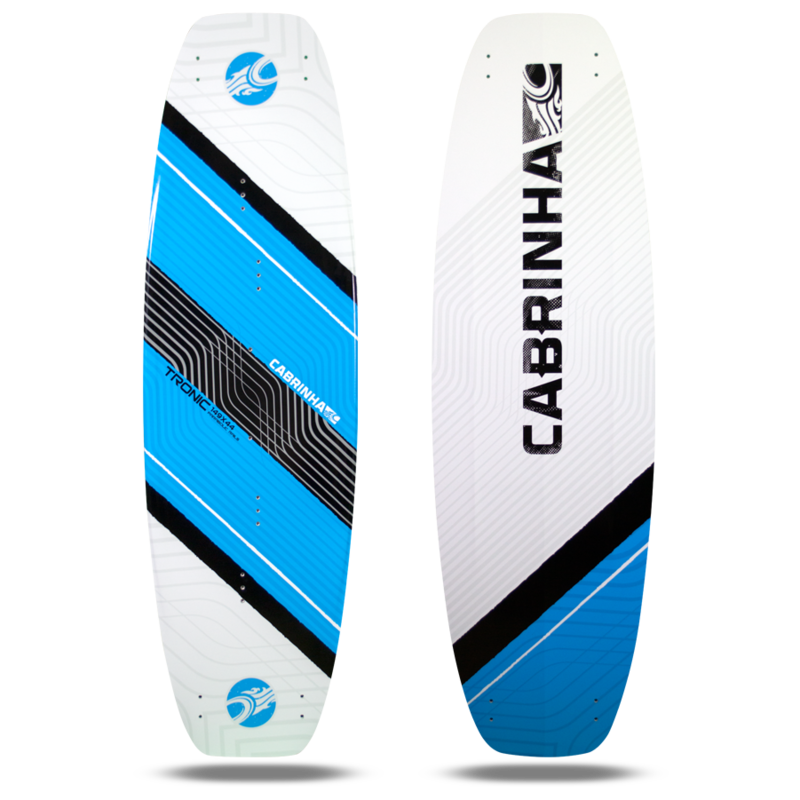 Its tips flex naturally to hold power to boost and grip the water so it won’t skip out through turns and carves. It has been fine tuned to be forgiving in choppy conditions for a smooth ride, while able to deliver amazing rail to rail carves. The Parabolic Rails™ provide a stiffer center section while delivering a responsive tip and tail flex. The volcanic basalt fiber construction keeps the weight to a minimum while retaining high durability. The performance rocker line helps initiate G-force for turns when banking off waves or redirecting in the flats and smooths your ride.